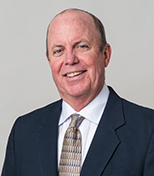 February 8, 2019 Thomas C.
DAVE SEAVERNS joins the Thomas executive team from the Atlanta office of a large construction firm performing general construction, design/build, and construction management services. A graduate of University of Florida, his background includes over 30 years of construction history including project management and estimating experience on projects up to $133 million. Dave currently holds GC licenses in Florida and Georgia and has been a USCBC LEED Accredited Professional, BD&C since 2007. As a Project Executive, Dave will be responsible for leading departmental operations as well as managing multiple project or preconstruction teams to deliver exceptional results for our clients. He will also participate in contract negotiations, help determine insurance requirements, and offer leadership and supervision to project managers and superintendents of all levels. © 2015. Thomas Construction Group, LLC.